Happy Halloween, y'all! I know most of y'all are probably recovering from yesterday! Whew, there's nothing like Halloween in the elementary classroom! Today, I'm catching up on blogging, and creating. I *promise* the November Comp Files will be done either tonight or tomorrow morning! And I'm immediately starting to work on the December ones so I don't wait 'til the last minute like I did on October and November ones! 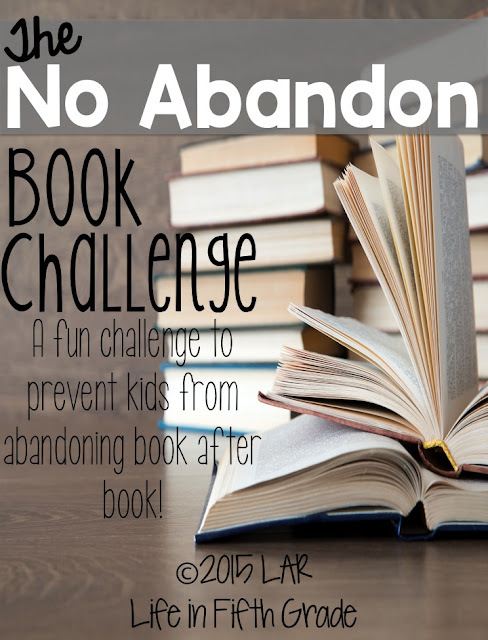 Anyways, I DID finally upload The No Abandon Book Challenge and that's what today's blog post is going to be about. When I started the challenge, my goal was to have NO abandon books, but I learned something during this challenge: It's not always bad to abandon a book. Y'all may have already realized that, but I always took it as a reading failure when one of my kids decided to stop reading a book. And then I realized I did that too! Sometimes a book just isn't what we want to read at the moment or maybe we just don't like the storyline or the writing style. For whatever reason, if you aren't enjoying a book, it's time to move on and find one you do like! We play the competition mode because we are always up for a little friendly competition! However, we did stop and talk about how not to be afraid to tell me you don't like the book. 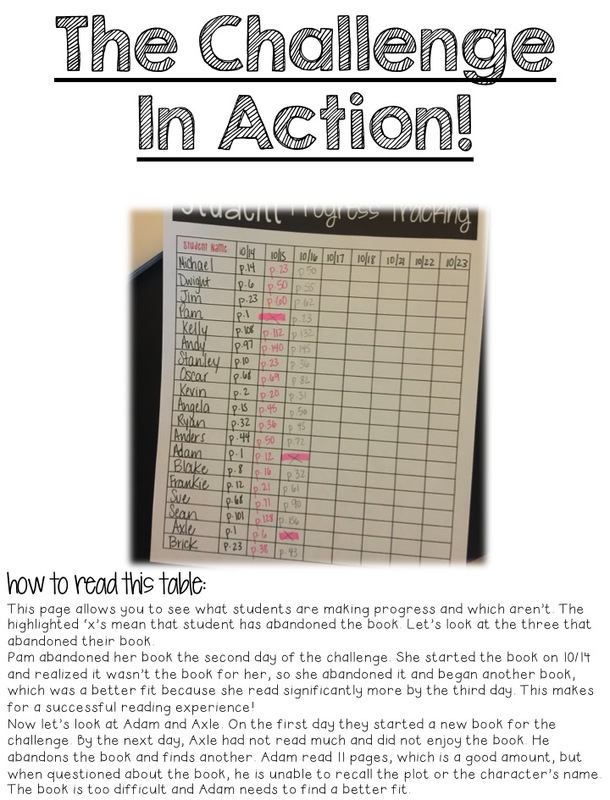 What I'm realizing is that students are learning to find books that are right for them rather than just picking up any ole book! 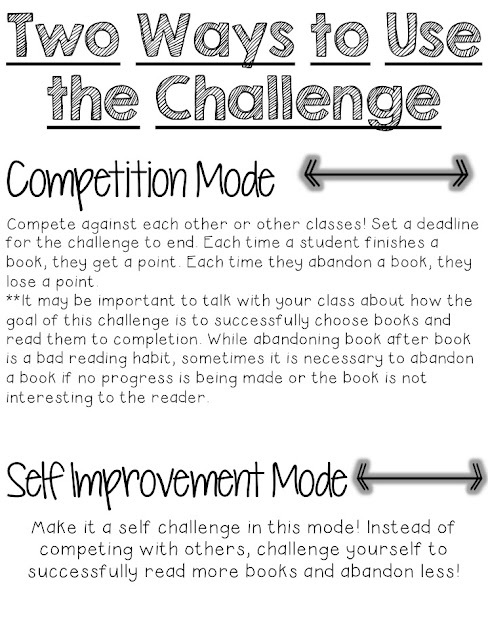 On Day 1 of the challenge, each student will submit a book for the challenge. The challenge can last as long as you wish. 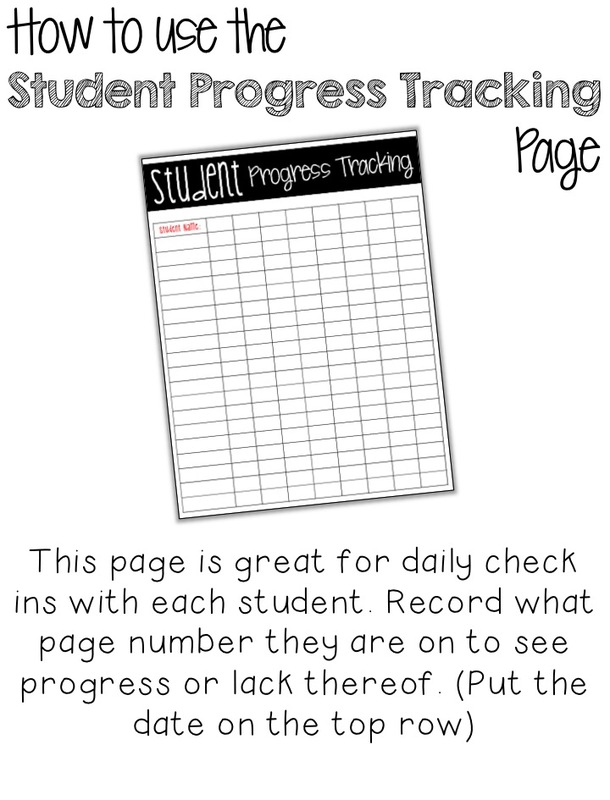 Each day, students check in with you (if you do Status of the Class at the beginning of the class, this is the perfect time for check ins!) using the Student Tracking page. You ask them if they are still reading the book they submitted and you can ask them about the book. 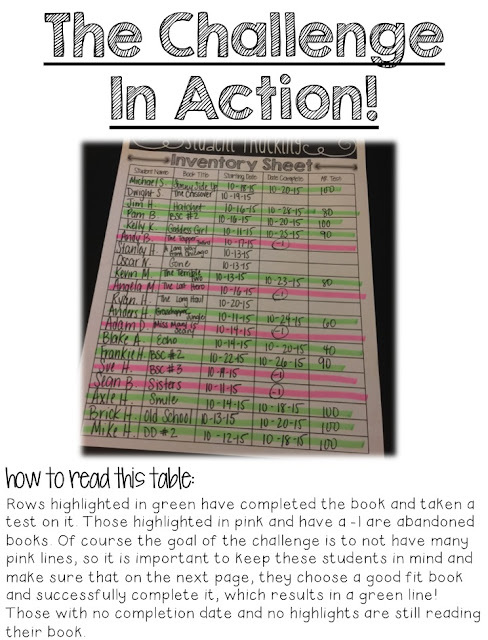 You can use the Student Conference sheets included in the resource if you wish or just notebook paper. The resource is completely editable so you can add your students' names in the charts or print them out and write! You can grab this resource here and on SALE today! 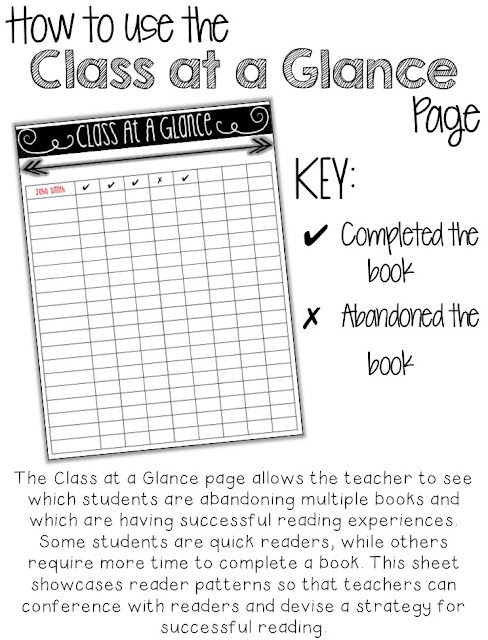 This looks great and I think it is just what I need for the constant "abandoners" in my class!! 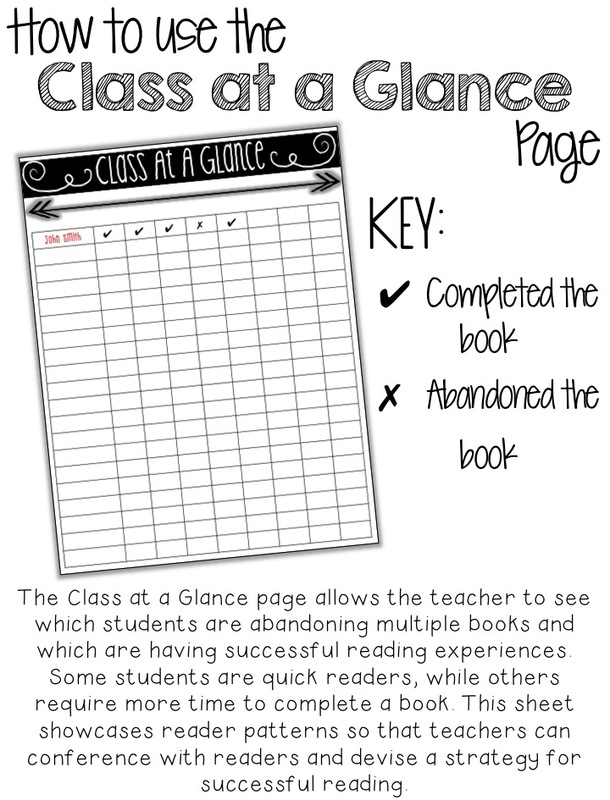 I started reading notebooks in my class this year (complete with a daily "Status of the Class") and I've begun to notice that some students are developing book ADD. I work hard with each student to find books to suit their ability and their interests, but some are not so eager to take my suggestions (or they just can't help but wander over to the next best thing when the Scholastic book orders come in!) 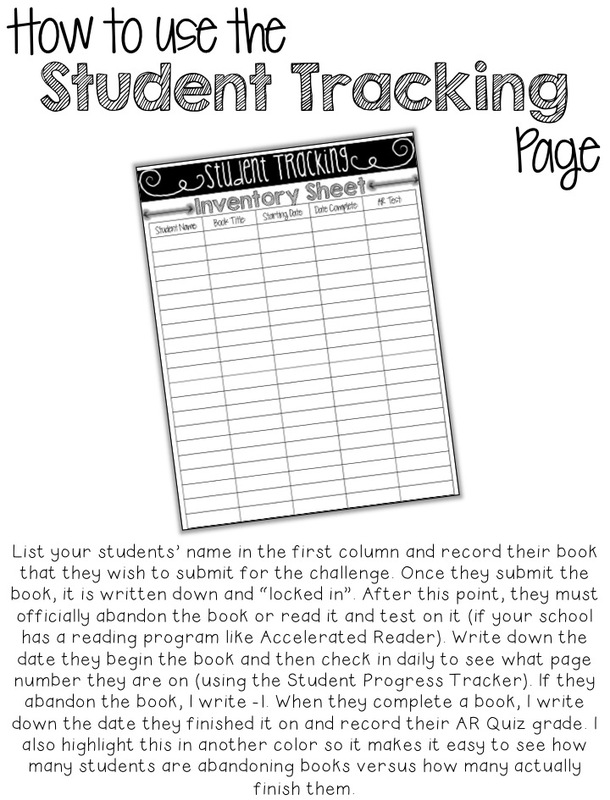 Hopefully this fun little challenge will help them to focus on picking the right books from the start. 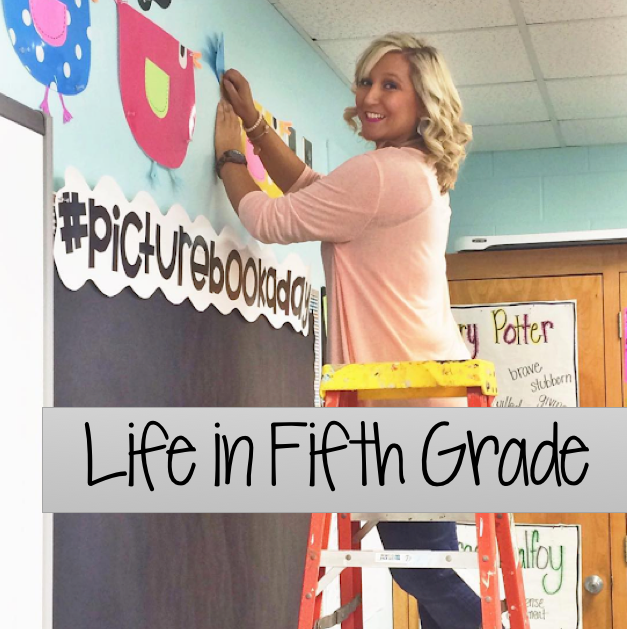 I'm heading over to your TpT store now to purchase!